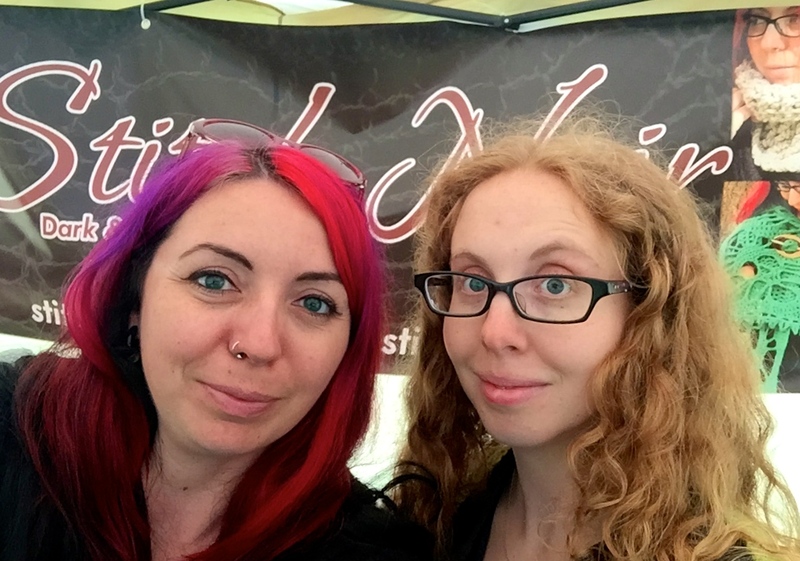 Last weekend, a friend and I had a booth at a nearby festival, the Hamilton Pagan Harvest Festival. Having a physical presence, even for a short time, was a lot of work. Well, having an internet presence is a lot of work too, but this was work of a different kind. 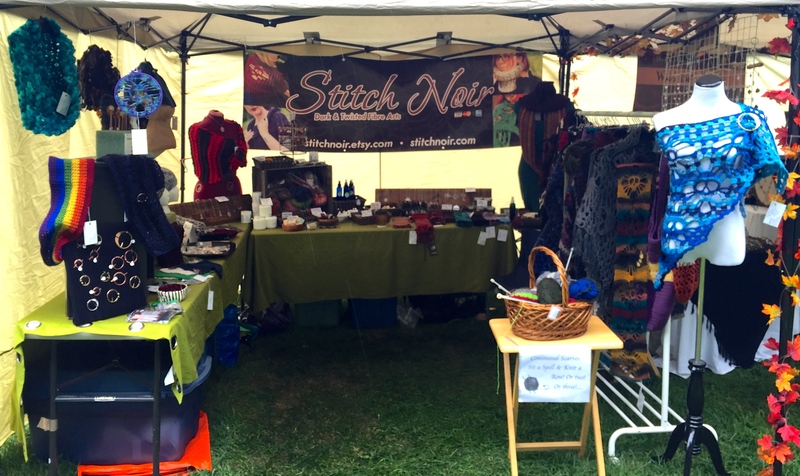 I can work on photos and try to ensure that they really show off the product for my etsy store, but displaying product on a table or in a tent…completely different world. 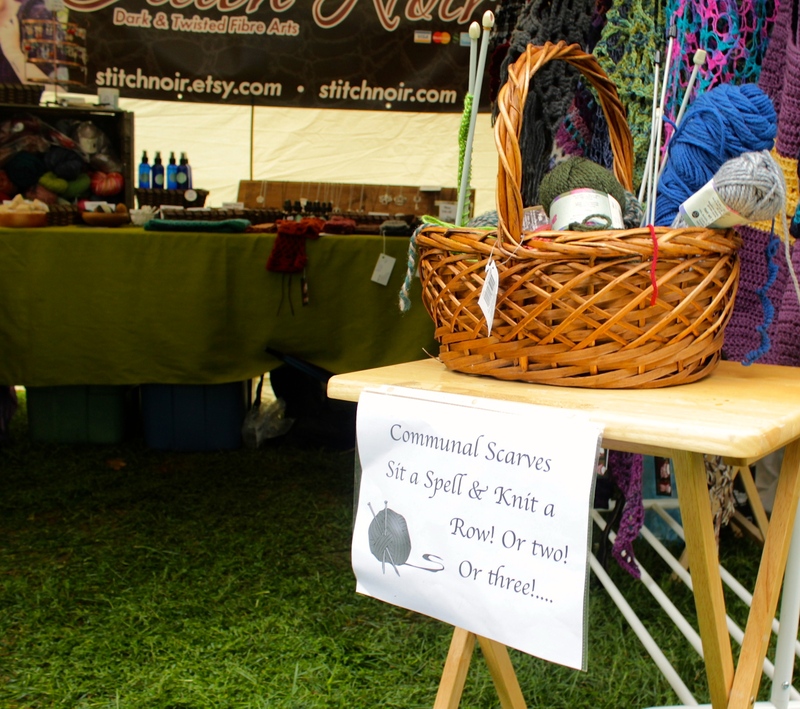 Add to that the weather…it rained all day…so the ideas we had, such as putting the clothes rack out in front of our tent, had to change. We found ourselves a little smushed in the 10×10 but it was still welcoming and allowed people to come in and comfortably browse. 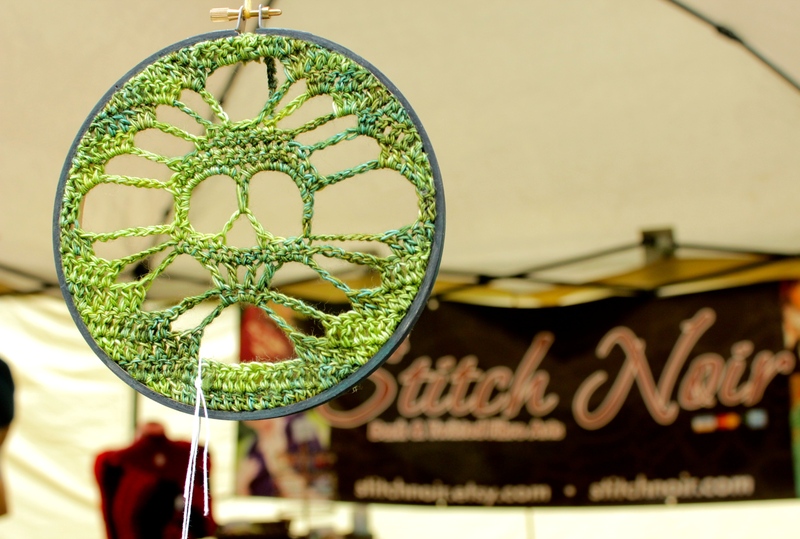 Flexibility…very important at an outdoor festival! Early on, I decided that I wanted to recreate something I had seen in Reykjavik, Iceland in July. 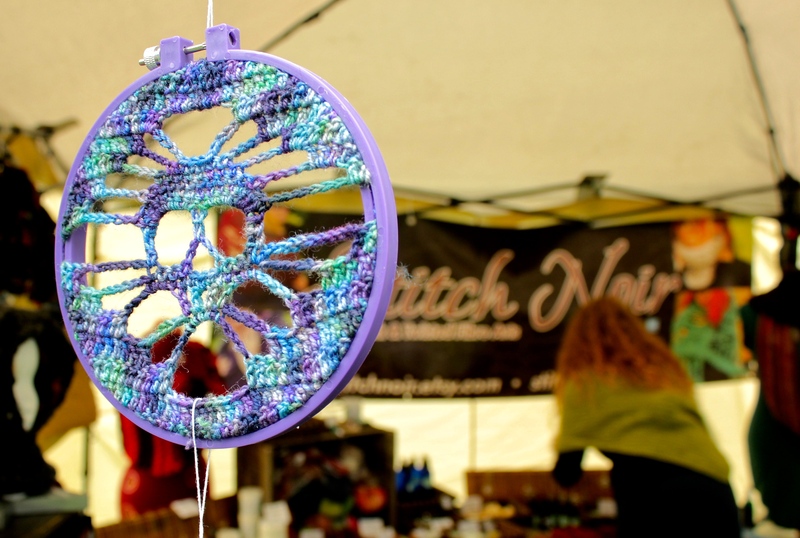 In front of the Handknitter’s Association, they had set up a basket with knitting projects in various states of completion. Anyone could stop and add a row. 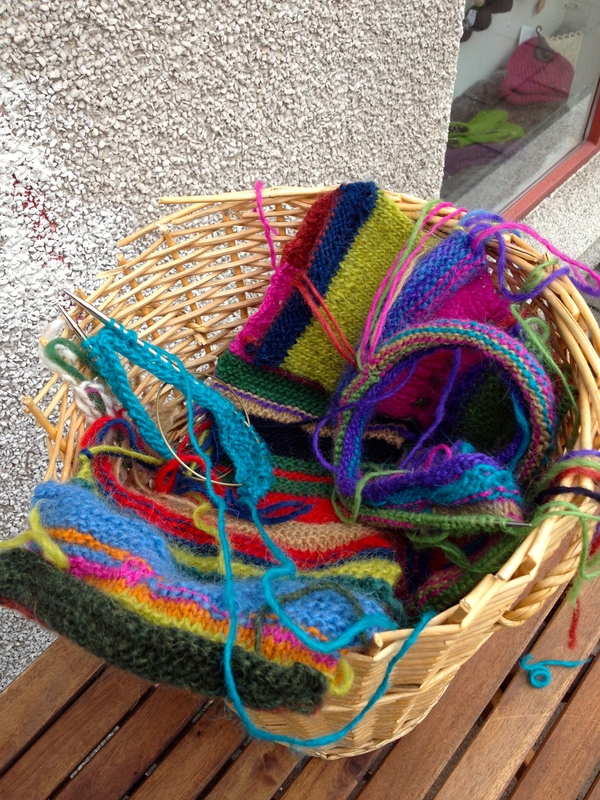 Handknitter’s Association in Reykjavik – Communal knitting projects out front! 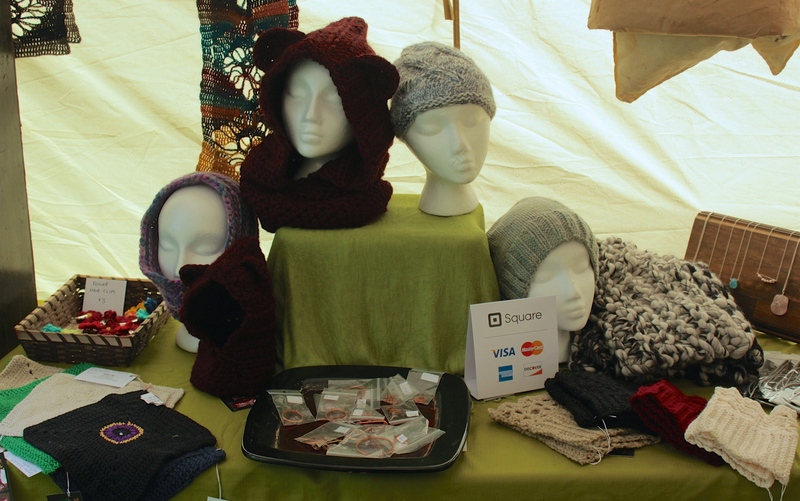 I loved the idea that these scarves were made by people from around the world. By day’s end, it was only a dozen rows or so…but it’s definitely something I’m going to keep doing at the various markets I attend. 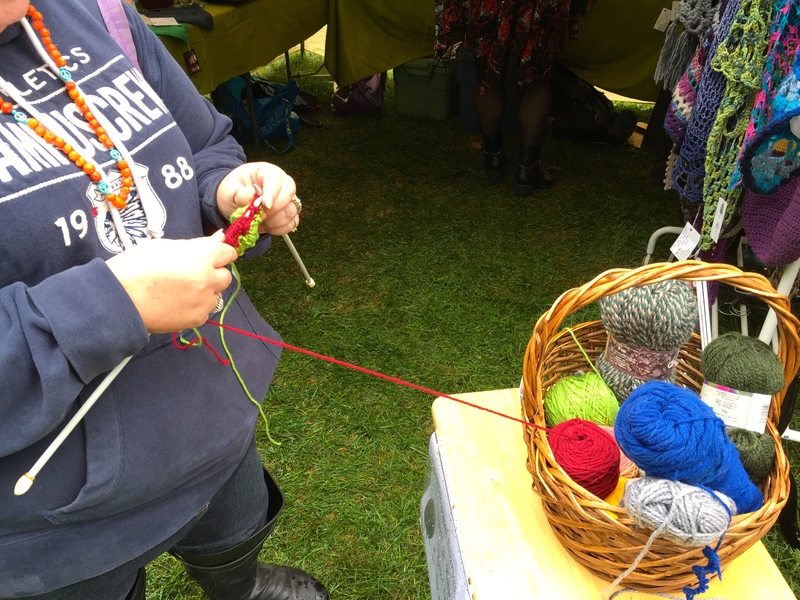 So many attendees were delighted to pick up a set of needles and knit a row, or two, or three! 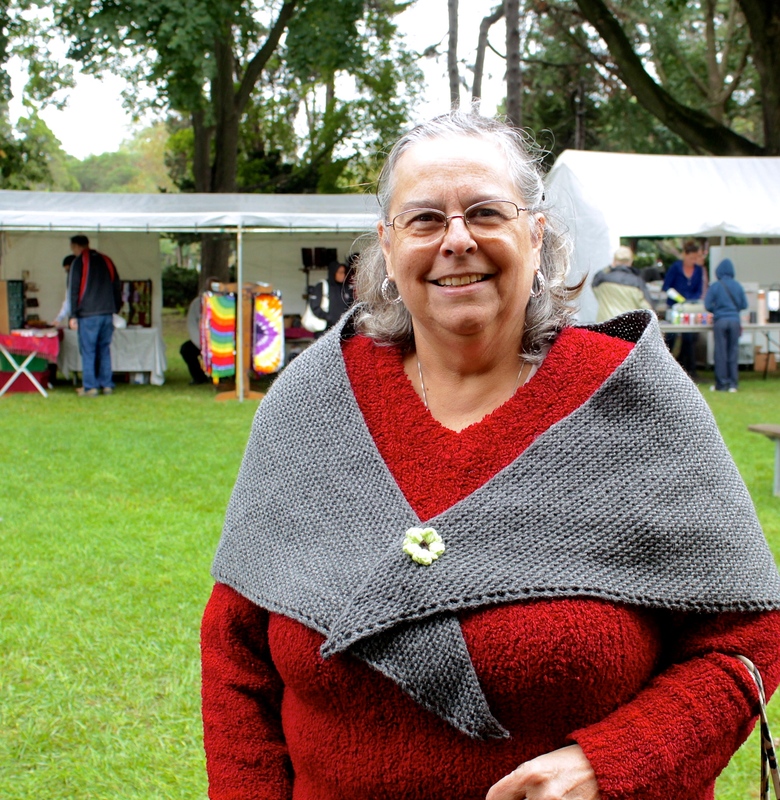 Some hadn’t knit in a decade or more and were happy to show what they could do. 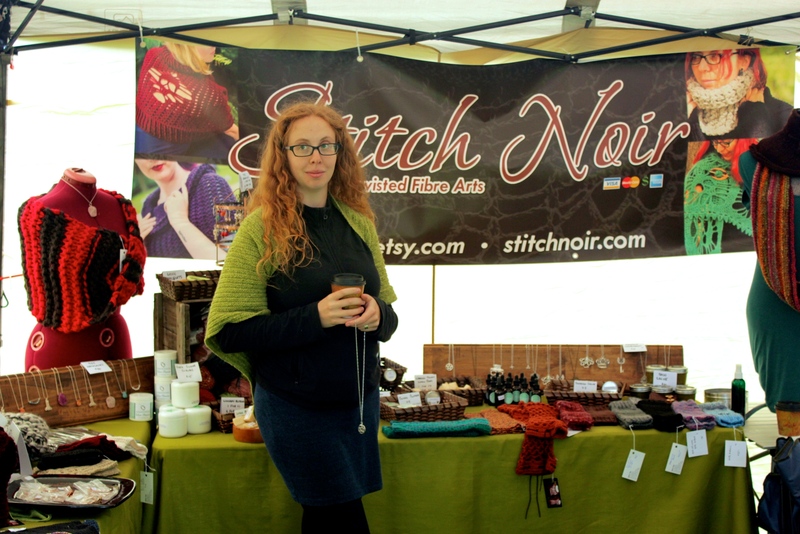 My very first knitted shawl found a home! Grumpy…in the way Winnie-the-Pooh is grumpy. Jesika in our lovely booth! ALL the foam heads in use! 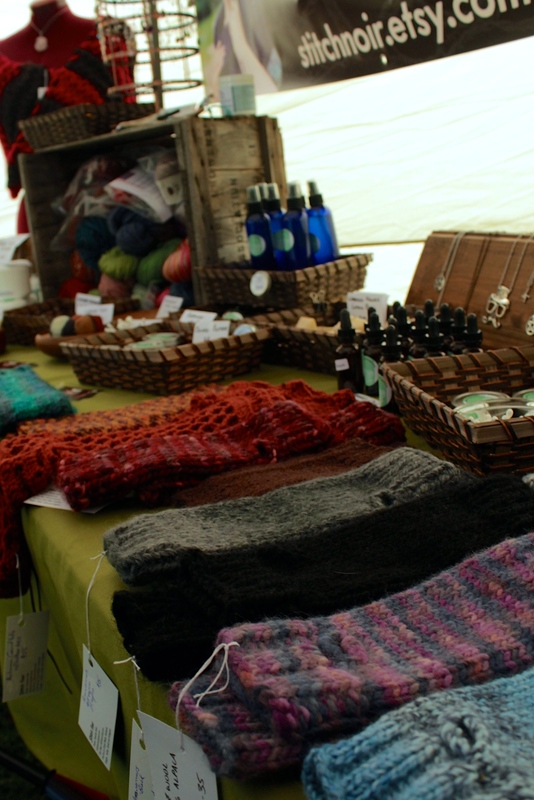 By the end of the day, we were feeling pretty good about our little on-site shop! Rain and all!